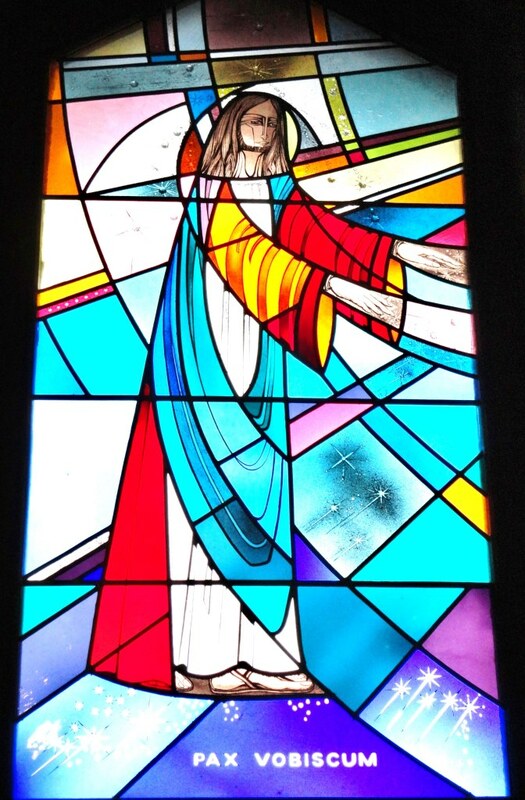 The Great Day came! 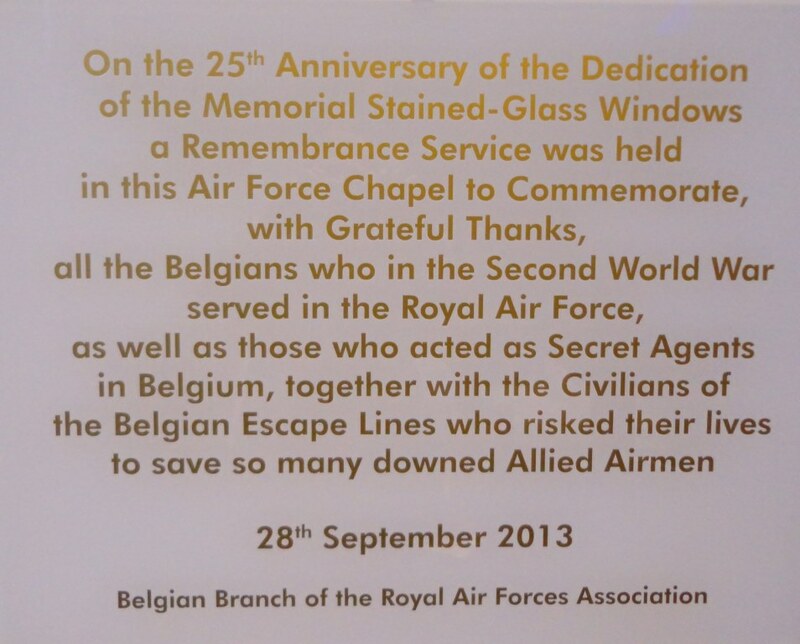 The sun shone, the great and the good, as well as around a 100 guests, were in place, the magnificent Royal Symphonic Band of the Belgian Air Force, resplendent in their ‘gala’ uniforms, were filling the Basilica with music and the singers of the Brussels Choir were tuned to perfection, and the Service began on the dot of 11:00 to the sound of the Royal Air Force March. 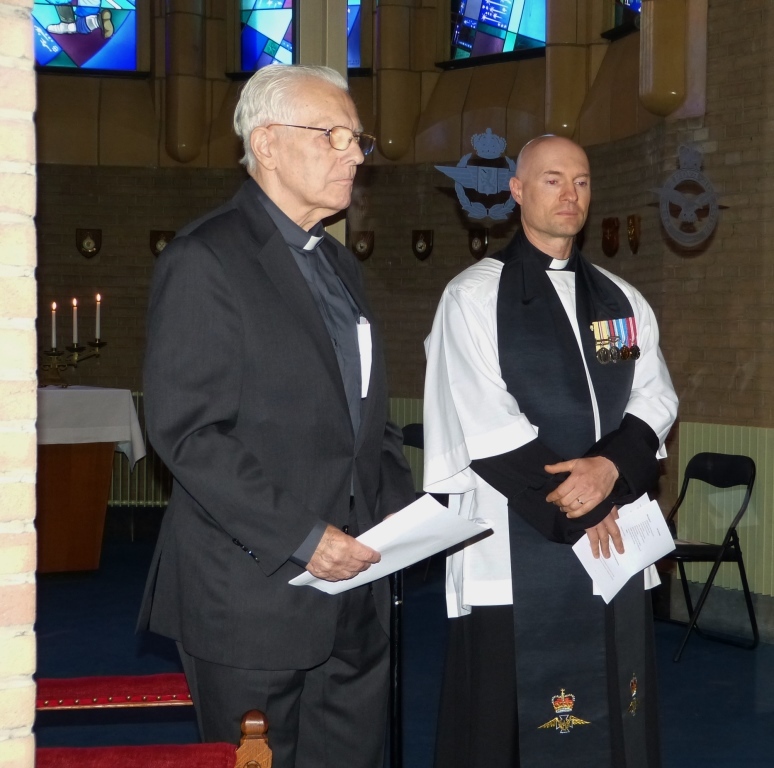 The RAF Ecumenical Service led by the Reverend (Wing Commander) Andrew Jones with Father Walter Peeters our Branch Honorary Chaplain, followed the printed ‘Order of Service’. 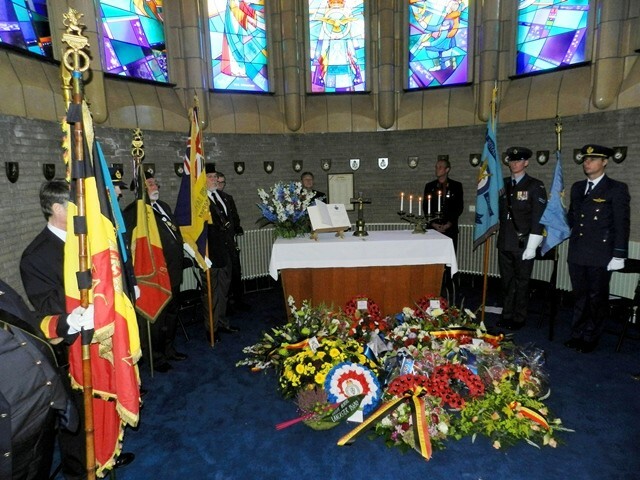 Following the arrival of our Principal Military Guests led by Air Marshal Sir Christopher Harper KBE RAF, Director General NATO International Military Staff, and General Gérard Van Caelenberge, Aide de-Camp to the King and the Belgian Chief of Defence, the Standard Bearers marched in and formed-up left and right in the Air Force Chapel. 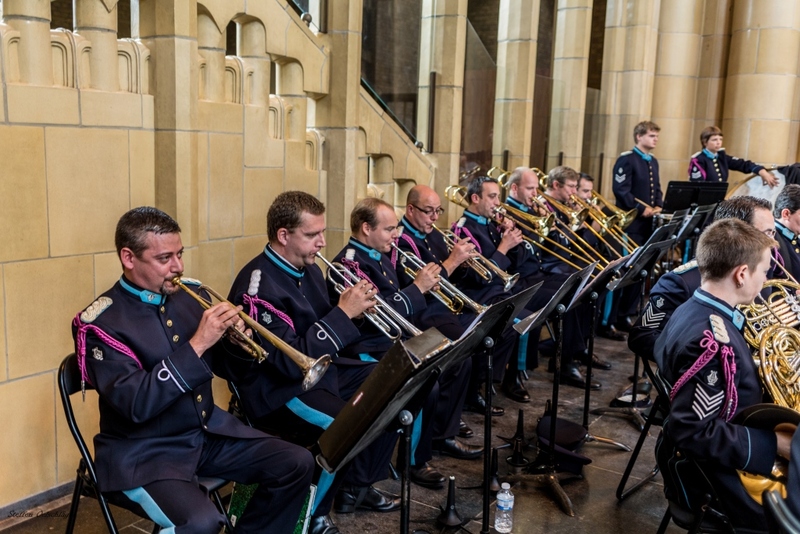 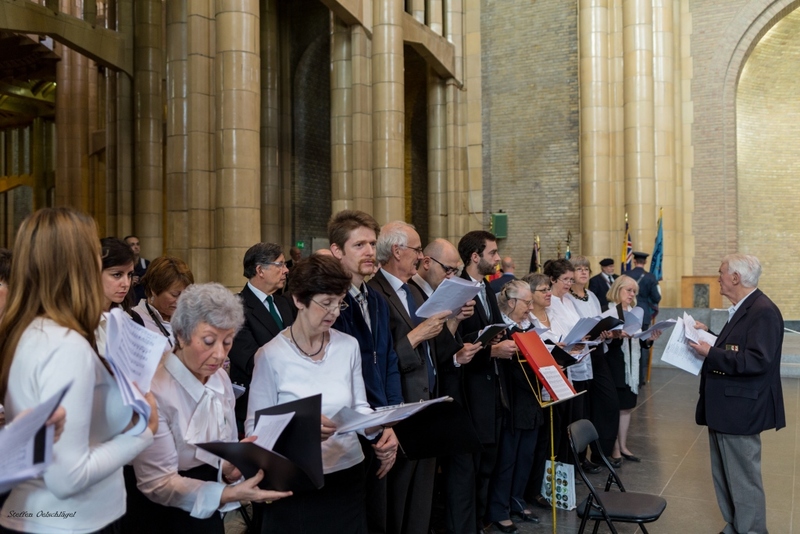 The Service that followed interposed the singing of rather ‘air force’ flavoured Hymns, with periods of prayer and of reflection both by the Symphonic Band, whose haunting tones of ‘Amazing Grace’ reverberated around the Basilica, and the Choir who delighted all with their most moving rendition of ‘The Lord is My Shepherd’. 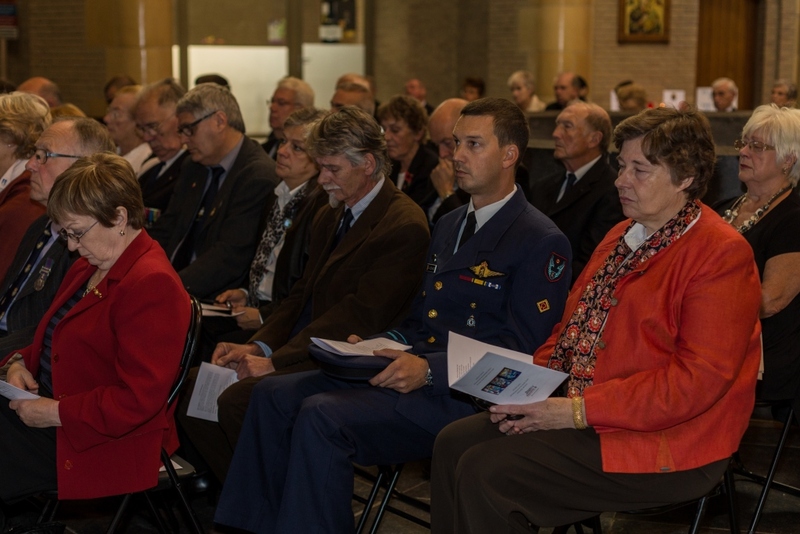 The Service had a dual focus: the ‘Act of Commemoration’ and the ‘Act of Remembrance’. 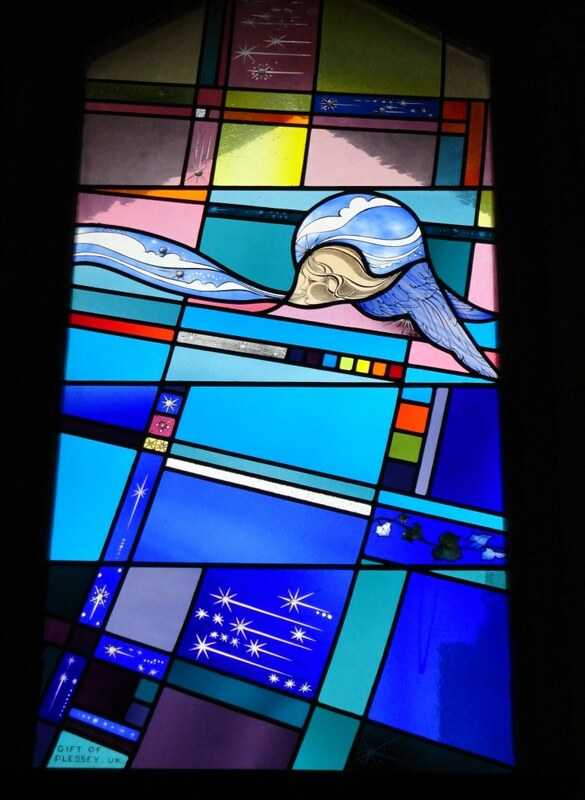 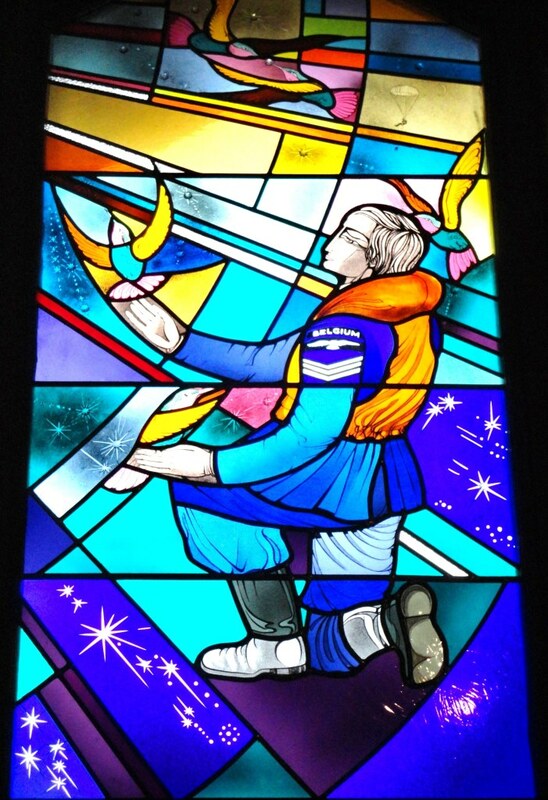 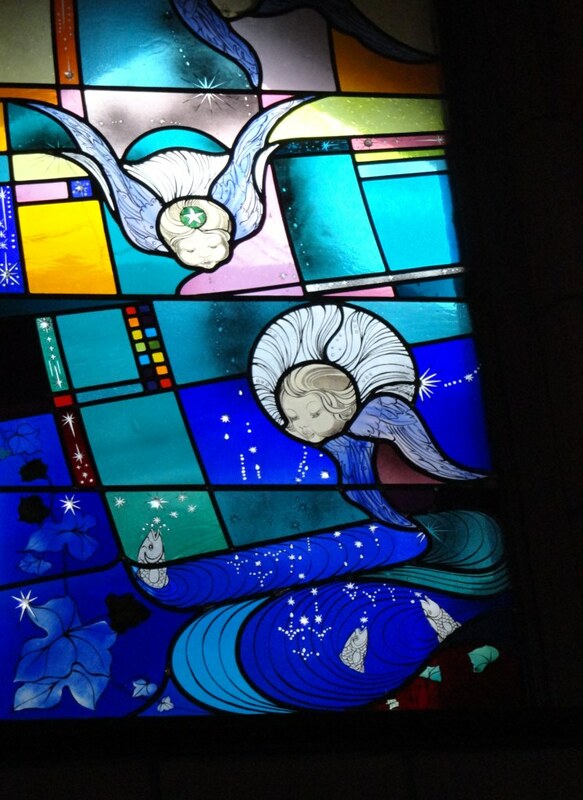 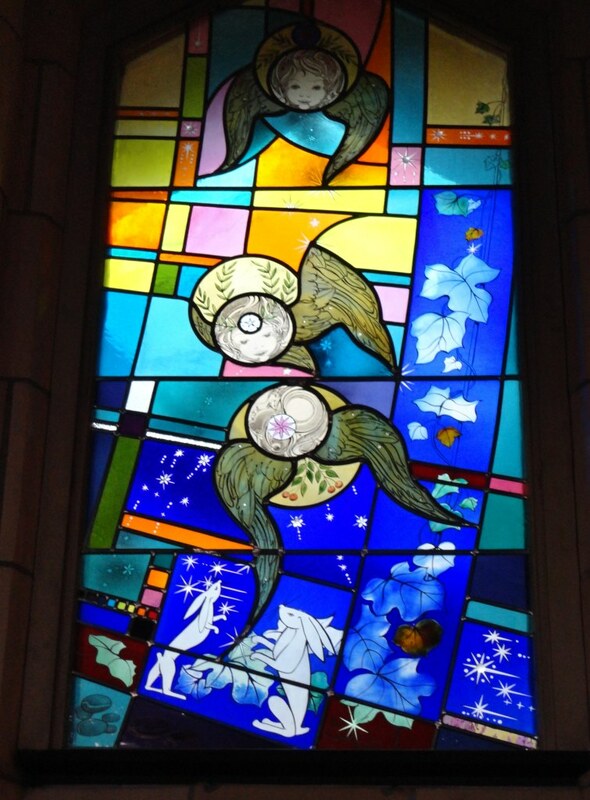 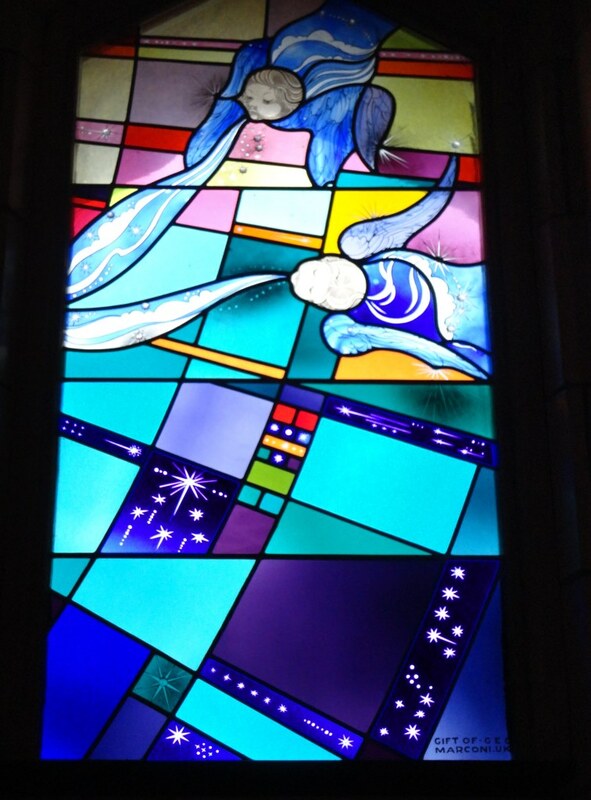 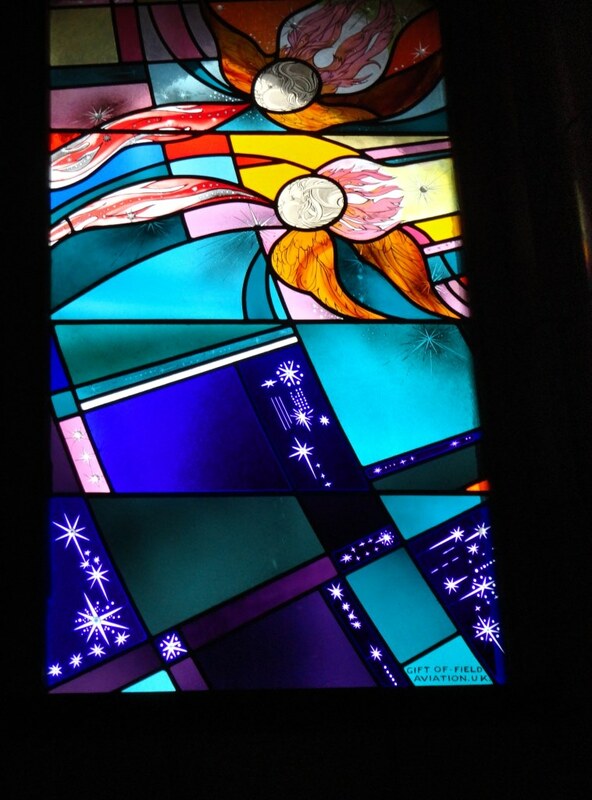 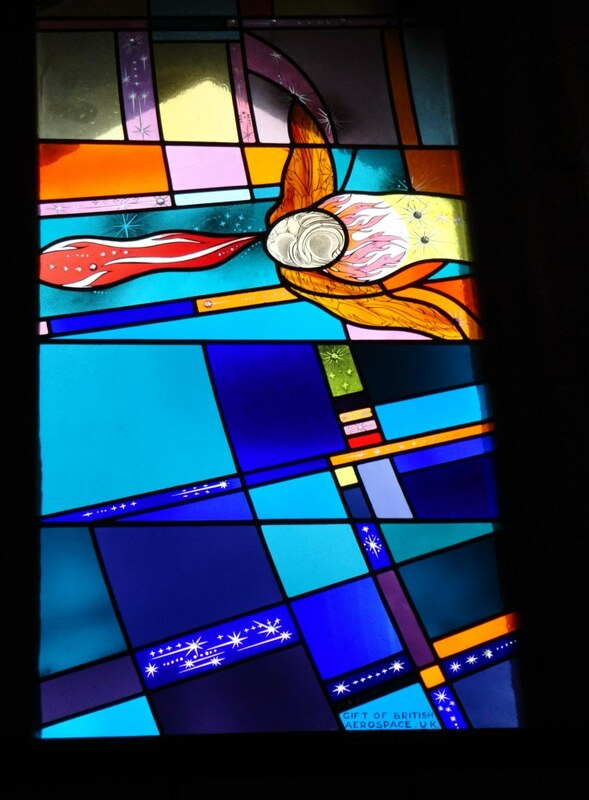 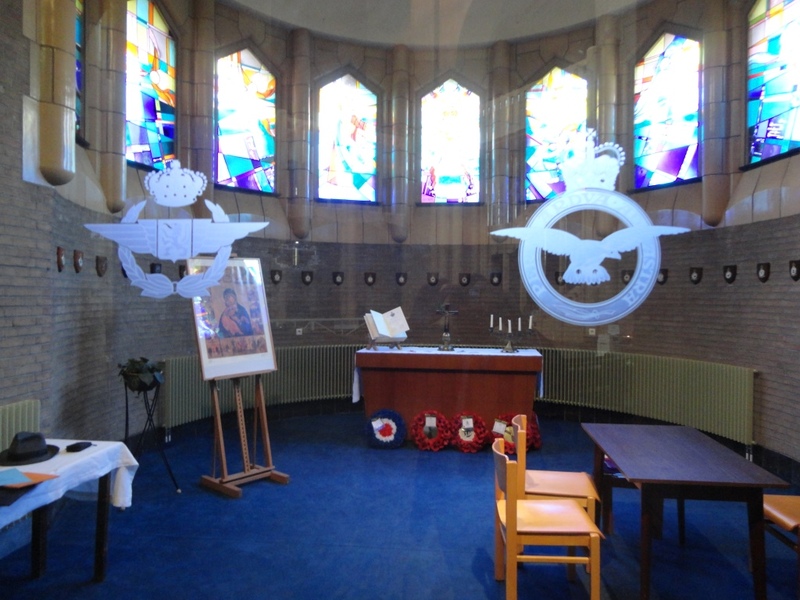 In his introduction to the ‘Act of Commemoration’ Air Marshal Sir Christopher Harper described the events that led to the dedication of the stained-glass windows in the Air Force Chapel in 1988, and highlighted that a new commemorative plaque marking this Remembrance Service had now been placed in the Chapel. 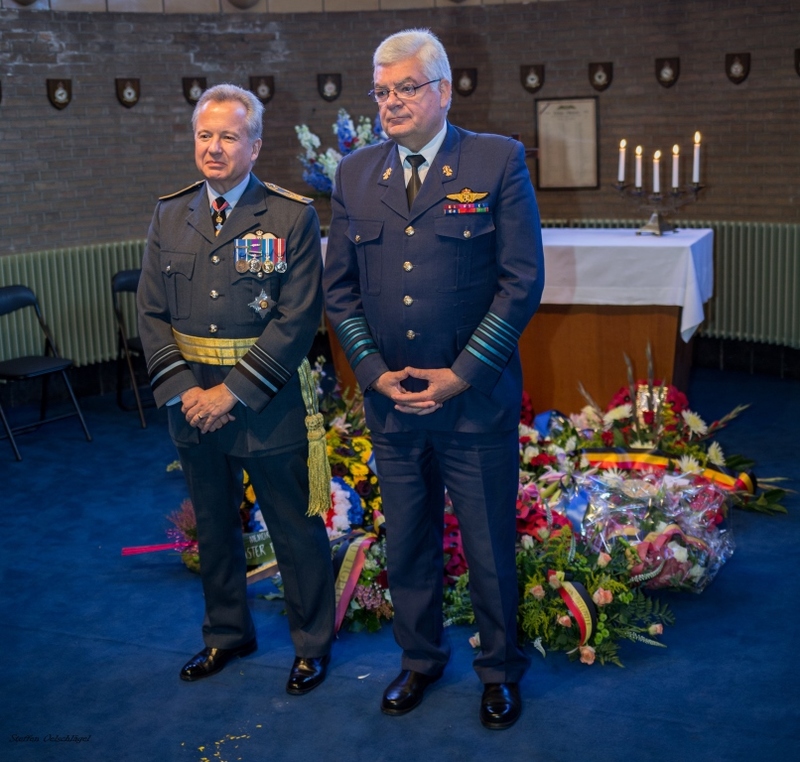 Following the blessing of the new plaque by the RAF Chaplain, Colonel Musey, Base Commander Melsbroek, responded, thanking the RAFA for their initiative which would enable the Chapel to provide a central focus for Air Force Remembrance in Belgium. 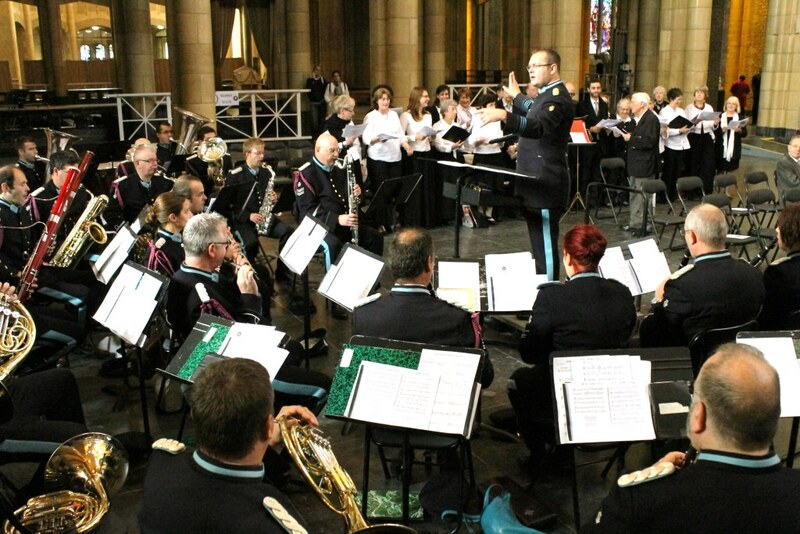 The Act of Remembrance followed classic British lines, with the RAFA Dedication (Father Peeters), the Exhortation (Branch Chairman standing-in for veteran Bobby Laumans who was indisposed) and the Kohima Epitaph (Mr Rubin), plus the Last Post and the Reveille faultlessly played by the Band whilst the Standards were dipped in honour. 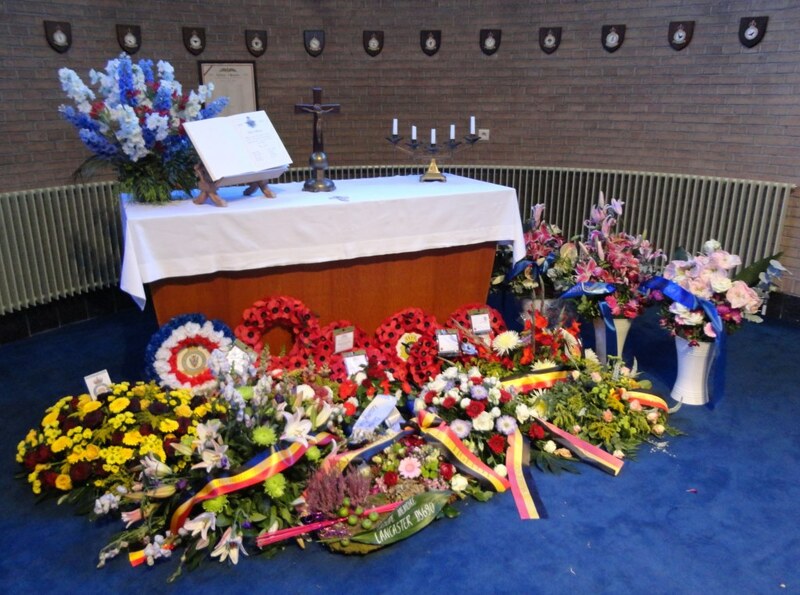 The laying of floral tributes which followed was an impressive and emotional aspect of the Service. 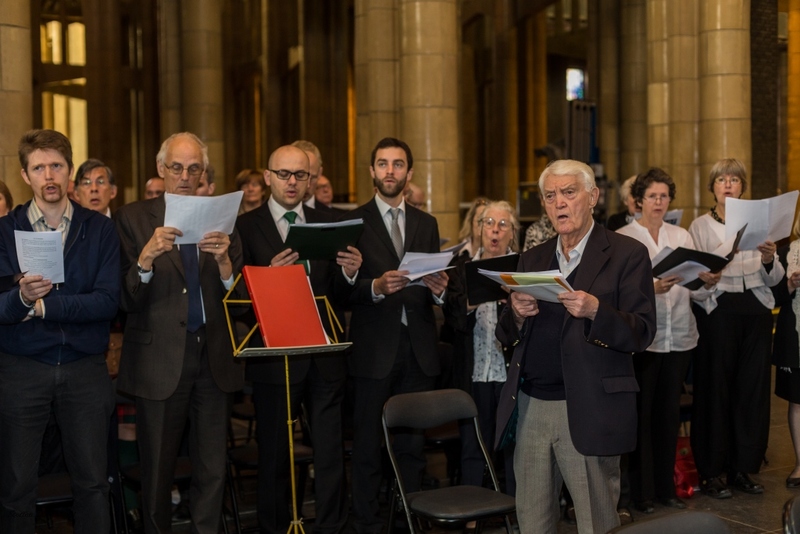 22 tributes were laid on behalf of a wide variety of organisations and individuals: they made a very fine show. 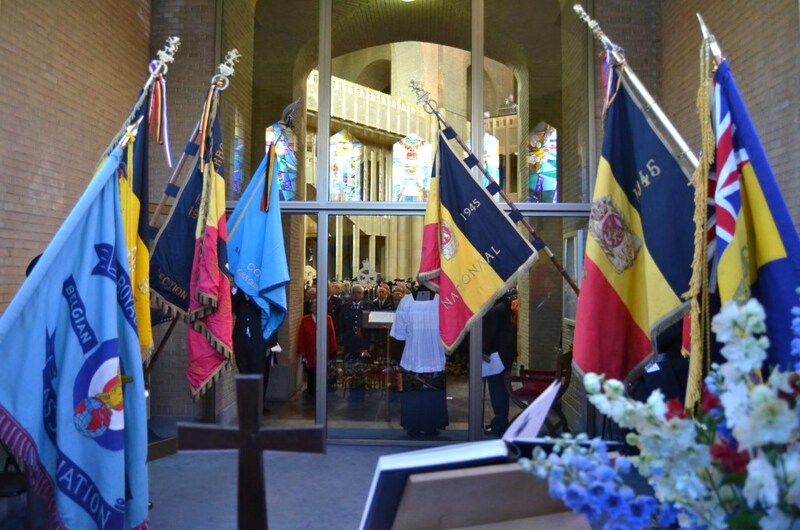 The Service closed with The Blessing by RAF Chaplain and the National Anthems of United Kingdom and Belgium. 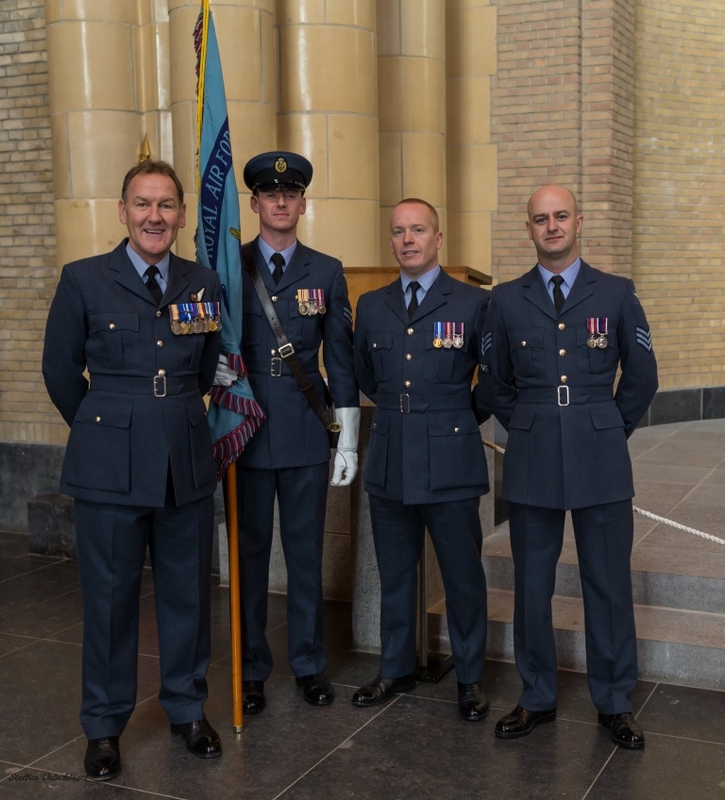 The march-off of the Standards and the Principal Guests was to the rousing strains of the Belgian Air Force March. 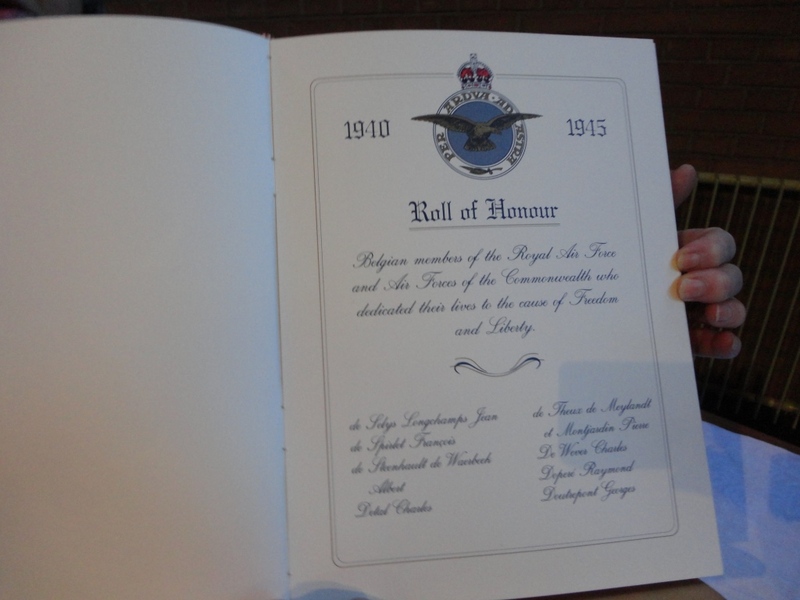 The Service was followed by a Reception which was open to all, and by a very convivial lunch where over 70 friends strengthened their bonds of friendship and were witness to Air Marshal Sir Christopher Harper presenting a European Area Presidential Certificate to Léon Rubin for his outstanding support to the RAFA Belgian Branch for over 65 years. 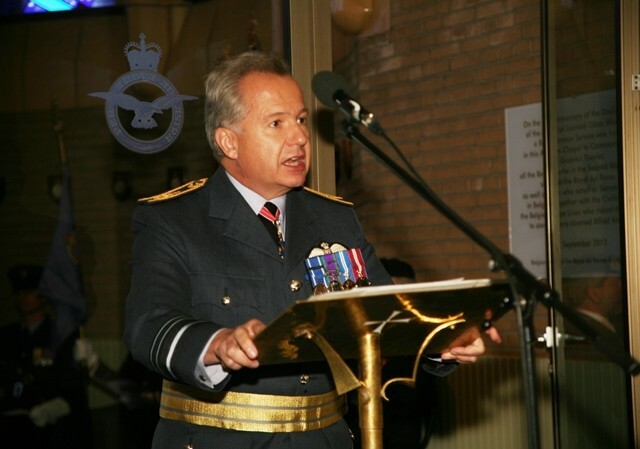 Many photographs were taken of this very special event. 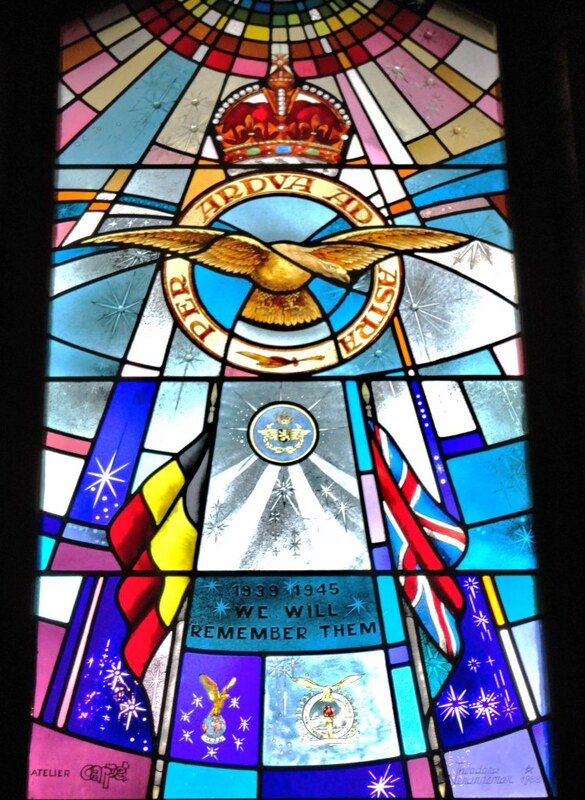 A selection are shown below extracted from the collections of Steffen Oelschlaegel (SO), 1CC M Wolfs for the Belgian Air Force (MW), Doug Mitchell (DM), Norbert Niels for the Vieilles Tiges (NN) and the Association du Mémorial de Rebecq (R).